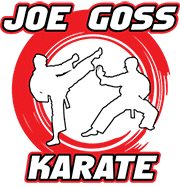 Joe Goss Karate School was opened in Johnstown in 1974 by Master Joe Goss, Sr. 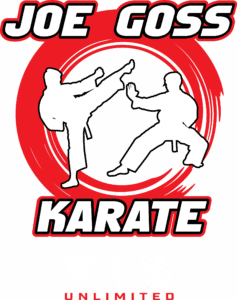 The school specializes in Tang Soo Do style karate, a traditional Korean form of martial art. Techniques from both Hapkido and Judo are also utilized. Just mention our website and new students will receive 3 months of training for $50/month and a FREE uniform. What activity could you participate in that specifically combines the goals of developing a strong moral character, self-improvement, and dynamic self-defense all wrapped together in one motivating and exciting program? The answer is traditional martial art. Training in traditional karate provides children with the character building traits needed for self-confidence. It is self-confidence that empowers your child to achieve personal growth such as integrity, self-control, concentration, cooperation, and spirit, just to name a few. This class is designed as an introductory karate class for children ages 4 1/2 & 6 years old. 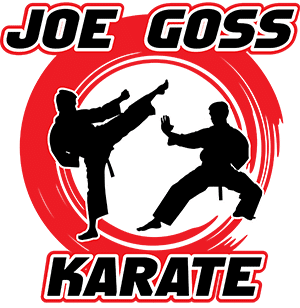 Your child will learn basic kicks, blocks, and punches taught in traditional karate. Etiquette, terminology, and basic self-defense will also be introduced all while having lots of fun! Martial artists are known for being toned, flexible and physically fit, and you or your child will be no different. Martial arts help instill mental focus, giving the ability to concentrate on a task and see it through to its conclusion. The precise methods will vary from discipline to discipline, but you can be certain that with regular practice, you or your child will learn to defend yourself in a variety of different ways. When kids work to earn their next belt level, not only are they learning basic world-class self-defense, they are building self-esteem and learning to feel good about themselves. Martial arts are all about respect. Students are instructed to practice respect for self, parents, teachers, and peers at every opportunity. Children with strong bodies, fine-tuned motor skills and physical coordination developed through training will have improved general health and physical performance.